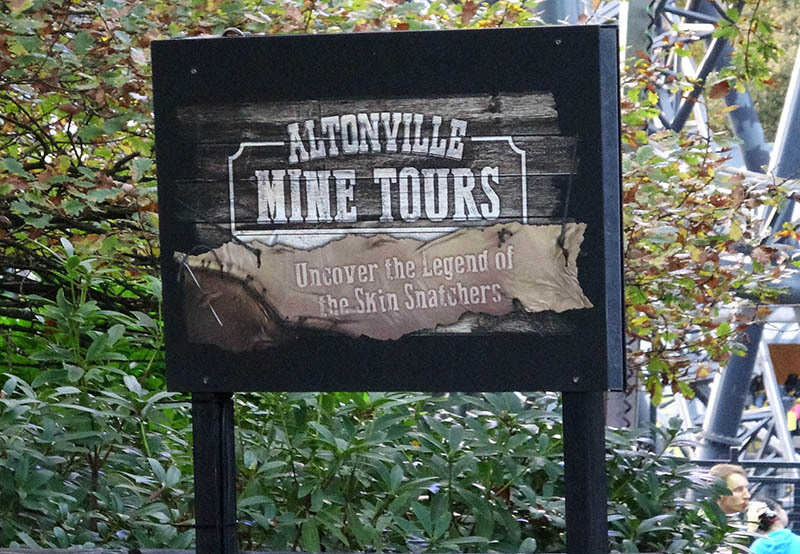 Uncover the legend of the Skin Snatchers as you descend down into the Altonville Mines. Altonville Mine Tours was introduced at Scarefest 2016, and is themed around a tour of an abandoned mine in middle America. It's a tale of inbred hillbillies who have been forced to live underground because of their disfigurements. Attempting to improve their looks, they have begun to kidnap the local townsfolk, stripping off their skin and using it to supplement their own. The maze allows visitors to tour the mine, which has been brought to life with some very nicely themed sets. Select guests in the group are given mining helmets with 'haunted lantern' technology - wirelessly controlled lamps which flicker and extinguish at the most inopportune moments thoughout the experience. Altonville Mine Tours is the first Scarefest maze to make use of a new area within the Towers, which was made possible after English Heritage granted permission for the park to open up a previously blocked off doorway, providing another access route into the house.